Shooting long distance is hard enough. Adding a wind meter is one of the easiest ways to increase your accuracy down range. 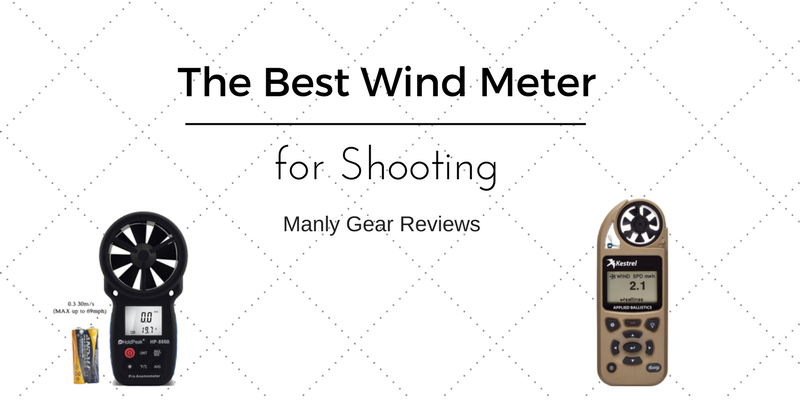 We have found that the Holdpeak and Kestrel 2500 are the best wind meters for shooting. Check out why and where the other wind meters stack up. If you are even considering purchasing a wind meter you probably do some sort of long range shooting. Wether it is hunting, benchrest or general long range shooting you have most certainly been schooled by the wind. In this shooting discipline we have to worry about a couple variables: distance, wind and barometric pressure. For distance, we need a range finder. For wind, we need a wind meter at our person and preferable ways to read the wind further down range. For barometric pressure, we need to know the altitude we are shooting at or better yet have some sort of weather device that has a barometer. Wind meters can pretty much be broken down into two categories. The sub $100 group and the above $100 group. The sub $100 meters in this list will generally just read the wind. For some people, that is all you need. The above $100 group of wind meters will read the wind AND give barometric pressure. If you are shooting long range and varying altitudes this information can be invaluable. Just for fun, plug your rifle’s ballistics into a calculator that takes into account altitude. Run one set of ballistics at 0 elevation and another at 8000 ft. Your are probably seeing a big enough difference in drop that could cause you to miss your next bull. 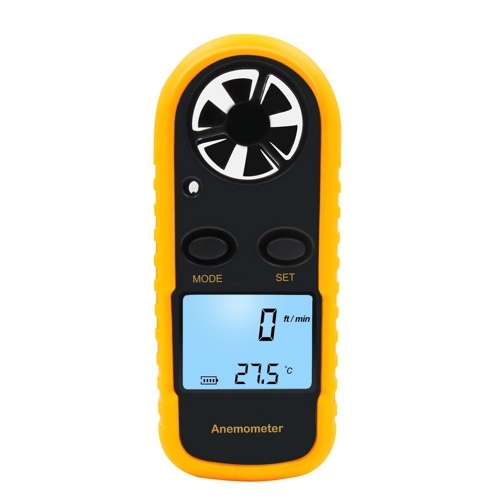 Accuracy: For most people that only want to own one wind meter it can be very difficult to verify if your meter is actually giving your the correct values. Unless you have a friend with a high end wind meter or weather station you are pretty much on your own. What you can do is buy a unit that has a proven track record so there is less likely to be an error in the first place. Durability: If you are like me, you plan on using your wind meter out in the field at either shooting competitions or on a hunt. If thats your plan then getting a wind meter that can withstand the elements is going to be a requirement. Most in this list are at least water resistant with the Kestrels being the most robust. Value: I’ll rarely talk someone out of a kestrel if they are willing to pony up the cash, but most simply aren’t willing to part with that much money for a wind meter. Luckily there have been several solid options that have been released in the past couple years that are good enough to get the job done. The long and short of it is the Holdpeak anemometer is a basic, durable unit that happens to cost under $25 bucks. The backlit display is easily viewed in bright sunlight and most importantly the wind readings are proving to be accurate. Something to note, you are not getting any extras with this unit. No barometer or bluetooth functionality. If you just need a basic wind meter and nothing else look no further than the Holdpeak. The Petcaree Anemometer is firmly in impulse buy territory with a price tag of under $20. I know some shooters are on a strict budget so I included the Petcaree. If you can stretch another couple bucks the Holdpeak above is the better choice though. This budget wind meter is right at home on the shooting range. If you need something for field use you may be disappointed in the durability of the Petcaree. Now were cooking. Kestrel is notorious for producing some of the most accurate and durable wind meters. The 2500 is no exception. I understand Kestrel makes cheaper units than the 2500 but the reason for excluding them is they do not have enough features to warrant their near $100 price tag. 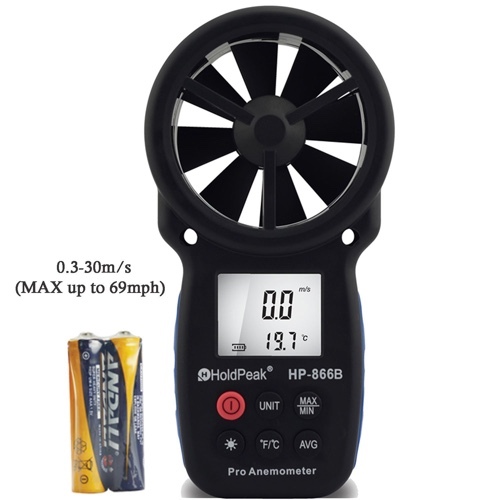 The 2500 however is one of the most affordable wind meters that also includes a barometer. As stated above, having barometer readings is absolutely critical for long distance shooting. 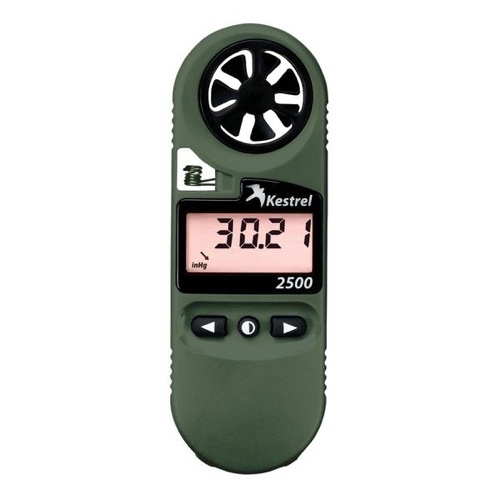 Coming in around $150 the Kestrel 2500 wind meter is a no brainer for the serious long distance hunter or shooter. 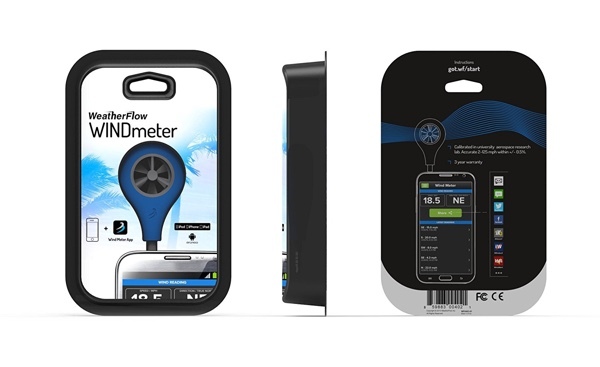 The Weatherflow Windmeter is a pretty slick solution for getting wind readings right on your smartphone or tablet. Just plug the wind meter into your headphone jack, download the Weatherflow app and you are on your way. The Weatherflow is compatible with most android phones and nearly all Apple iOS devices. If you are wanting wind readings under 5mph this probably isn’t the best device for you as it doesn’t pick up readings reliably until 5mph. The main strength of the Weatherflow Windmeter is its size. Its about half the size of the smallest dedicated wind meter unit. The Kestrel Elite with Applied Ballistics is a top end unit that gives shooters an all-in-one solution. With this one unit you have all your ballistic information about your rifle as well as updated dope and wind information given by the wind meter. If this is the first time you’ve heard of Applied Ballistics, know that they have created one of the most accurate pieces of ballistic software. And this unit has it built into it. While spendy, lots of shooters prefer to have a dedicated and durable device capable of handling all the information one would need to make a long distance shot. If you end up buying the bluetooth unit, you can even sync with your smartphone or some rangefinders. This is not a cheap unit but it happens to be one of the best. If you are happy using your smartphone for your ballistic solutions then I would not hesitate to save some cash and go with the 2500, otherwise buy the elite with confidence.